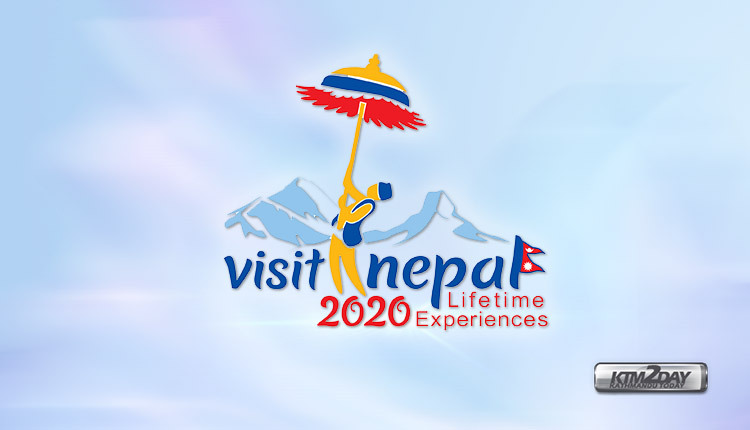 The government is set to make a soft-launch of its ‘Visit Nepal Year 2020’ campaign from Pokhara, a famous tourist destination, on April 13 marking the eve of the Nepali New Year, 2076. In preparations for this bid, a meeting of the main organising committee under the chairpersonship of Prime Minister KP Sharma Oli will take place on April 10, said Ghana Shyam Upadhyay, spokesperson for the Ministry of Culture, Tourism and Civil Aviation. He added that formal launch of the campaign will take place following the meeting. The organising committee is chaired by culture minister while Suraj Baidya has taken charge of the programme implementation subcommittee as vice chairperson. Prime Minister Oli is leading the tourism ministry following the death of tourism minister Rabindra Adhikari in a chopper crash in Taplejung on February 27. The government aims to bring in 2 million tourists in 2020. Earlier, the government had launched Visit Nepal Year in 1998 aiming to attract 500,000 tourists. It also launched Nepal Tourism Year in 2011 with the aim to attract 1 million tourists. However, these campaigns could not meet its target. According to data with the Nepal Tourism Board, around 1 million tourists visited Nepal in 2017. Likewise, the number reached over 1.1 million in 2018. Latest data with the Department of Immigration shows that over 200,000 tourists toured Nepal in the first two months of 2019 alone.